I remember eating salted duck eggs with a bowl of rice congee often as a kid. It’s something that is so simple, but yet it’s my favorite. In case you have never tried salted duck eggs (or salted eggs for that matter), the white of the eggs are extremely salty but the yolks, the yolks have that hint of sweetness and just the right amount of savoriness, which I love. It’s something that I don’t know how to describe and I often just describe it as being umami in this modern day. The mention of salted egg yolks reminded me of liu sha bao. 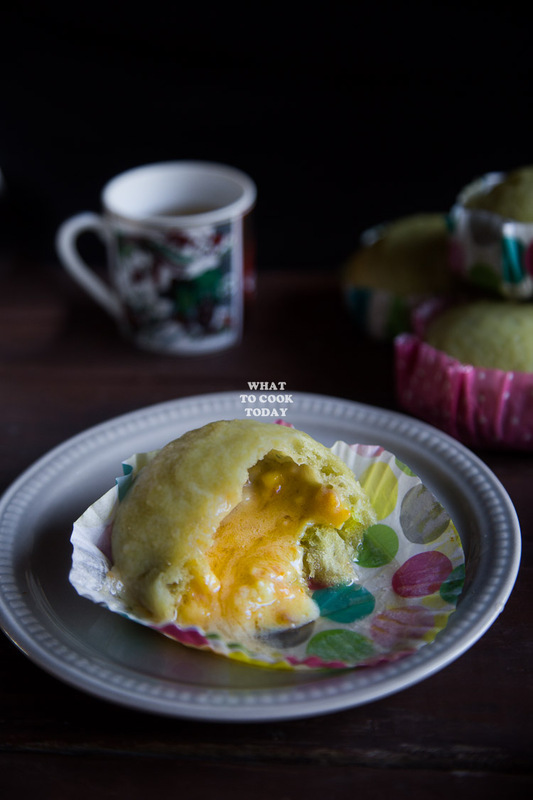 I’ve tried making this liu sha bao twice and they failed miserably. 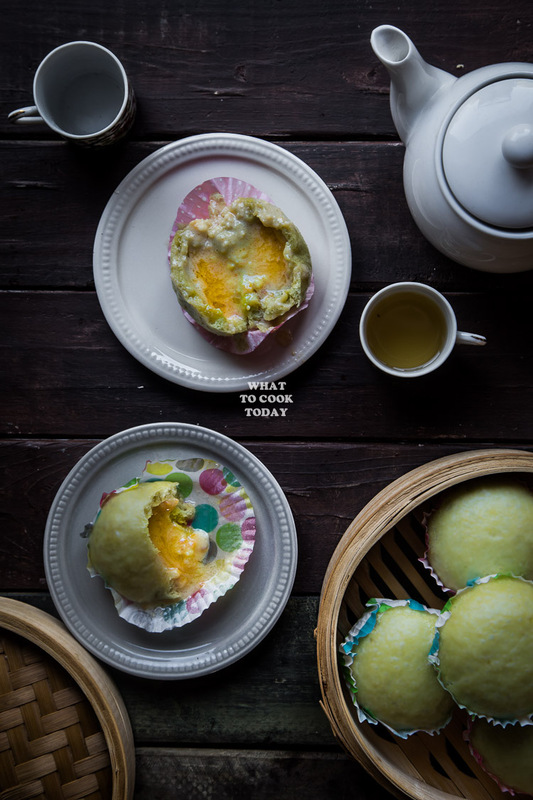 Liu sha bao means literally that the filling is flowing like a lava. Mine didn’t. It’s just like a regular firm custard. Which is not bad actually, but I can’t call that liu sha bao though. My kids don’t care much for liu sha bao though. They prefer the regular sweet custard buns. I asked my daugther why she didn’t like it and she said because of the combination of sweet and salty 🙂 My husband loves liu sha bao though and so he was excited to eat these for the first time. HOW TO EAT THE LIU SHA BAO ? Pandan juice can be extracted by using about 80-100 gr of pandan leaves. Cut the leaves into 1-inch pieces and then put in a blender with a bit of water to get it going. Blend into a fine paste. Transfer this paste into a cheese cloth and squeeze the juice out as much as you can. Store in the refrigerator for up to 1 week. Any longer it will spoil unless you freeze it. Remember to shake the juice a little bit before using. Oh the ooze!!! That ooze looks absolutely perfect! 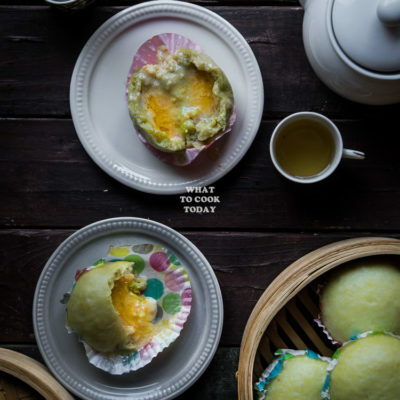 I’m a huge fan of liu sha bao and yours look incredibly delicious!